The November NPD numbers are out, and with them we get the stats of the biggest shopping weekend of the year in the United States. 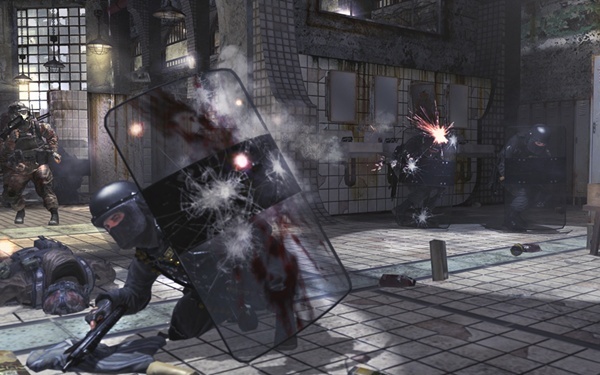 It should come as no surprise that Modern Warfare 2 topped the charts with 4.2 million copies on the 360 and 1.87 million on the PlayStation 3. Rounding out the top 5 were Assassin's Creed 2 on the 360, New Super Mario Bros Wii and Left 4 Dead 2 on the 360. It's good to see games with cooperative modes once again have a strong showing in monthly sales. We'd like to think the co-op modes helped fuel sales, though in the case of Modern Warfare 2, everything fueled that unstoppable juggernaut. System sales also saw a boost with the DS leading the Pack with 1.7 million systems sold, though the Wii sold a respectful 1.26 million units. The 360 also led the PS3 in sales for the first time since the PS3's price cut, possibly fueled by the exclusive Modern Warfare 2 bundles. Page created in 0.3563 seconds.